This flexible 7.5mm Hradil camera cable is connected in between the cable winches Quadtro SAT or K15 sync and the camera or in between the push cable and the winch from Rausch. 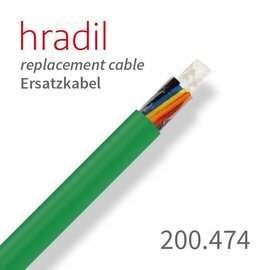 With the Hradil camera cable suitable for satellite systems from Rausch we are supplying our customers from all over the world for many years now. 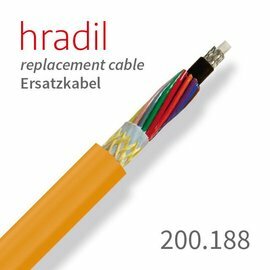 Due to the long lifetime of our camera cables and the reliability even at high mechanical stresses we get a lot of good response. 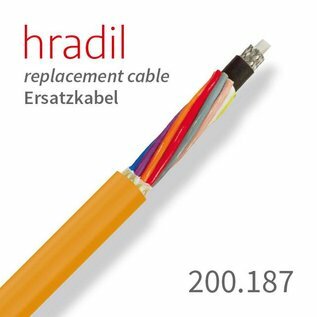 Of course, the long lifetime in conjunction with the fair price structure of all camera cables from Hradil special cable, and the reliability of our customer service, is the reason for our long-term customer relationships. The cable can be, drummed on the winds Quadtro SAT or K15 sync and is mounted on the drum side depending on the configuration at the 10-, 12- or 17-pin plug. The corresponding push cable for sewer and satellite systems can be found in our shop as well by the item number 200.474. 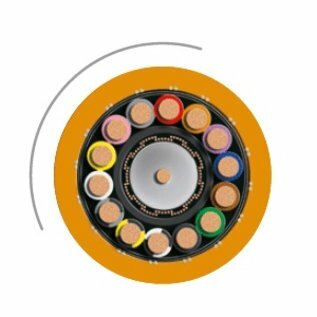 The robust design of a Vectran braid with a tensile strength of up to 2500 N and the durable polyurethane coat with a special TPU blend offers a very long shelf life, even at very high mechanical loads.